How Much Do Invisalign Clear Braces Cost? Invisalign clear braces start at $2,995 but can be $8,000 depending on the extent of work required. Zero percent (0%) financing is available to make clear braces affordable. Many insurance policies cover part of the expense. To put the cost into perspective, a $5,000 quote with insurance covering $2,000 leaves you with a cost of $3,000. With 0% financing, spread out over 36 months will cost you approximately $83.33 per month. Financing terms generally range from 24-36 months. Other financing options include using your flexible savings account (FSA) or health savings account (HAS). The process is very simple starting with a 3D scan of your teeth. Each scan creates a unique aligner for you for a perfect fit. Once your aligners are ready, you make an appointment with us to test your aligner. At this time we will answer your questions and set your expectations. You are now on your way to a sensational smile. How Long Do Invisalign Clear Aligners Take? You simply take your aligners out when you eat wearing them for 20 or more hours per day. The process includes sets that you will wear for a few weeks. As you progress to new sets of clear aligners, you will feel some discomfort as teeth adjust. Maintenance is very simple. Just brush and rinse once per day. An overbite is when upper teeth overlap lower teeth. This can wear down teeth and cause jaw pain. Invisalign braces will fix overbite issues using a clear material without the use of metal braces. An underbite is when your lower teeth protrude beyond upper teeth. Invisalign can fix underbites but not all. Some underbites require surgery. In some cases wisdom teeth can crowd you lower teeth pushing them beyond upper teeth. Cross bites occur when some of your lower teeth protrude beyong your upper teeth. 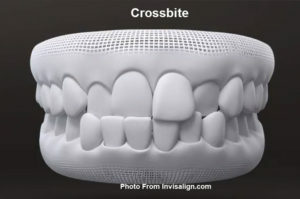 Crossbites can become painful causes gum issues or teeth that wear down. Invisalign Clear Braces can cure some but not all crossbites. Gap teeth have space between teeth where food can get stuck leading to gum issues. When your upper and lower teeth don’t touch when your mouth is closed. This can cause problems eating certain foods. When you don’t have enough space in your jaw causing teeth to bunch. 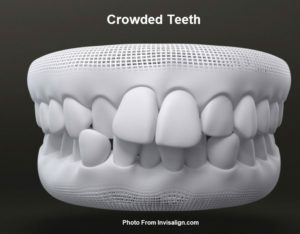 Crowded teeth are hard to maintain properly getting worse over time. Smile Sensations has been providing cosmetic dentistry and smile makeovers in Stamford for over 25 years. Call today to set up an appointment. Looking for dental implants in Stamford CT area? Visit Dr. Stephen Wolpo DDS of Smile Sensations to restore your teeth beauty and function. Cosmetic dentist Stamford experts – Smile Sensations offers dental implants including surgery and reconstructive work. Implant dentistry can be used to replace a single missing tooth or an entire missing set of teeth. For entire sets of missing teeth, Dr. Wolpo can use dental implant surgery to support a denture or to support fixed bridgework. This dental procedure restores your mouth to natural beauty and function in just a few visits. If you’re interested in dental implants in the Stamford CT area, give our office a call at (203) 399-0707 to schedule a free consultation. Financing available. For the best teeth whitening Stamford offers, contact our dental experts. We specialize in family and cosmetic dentistry for all ages. Teeth whitening cost in Stamford varies by provider, but we make it affordable to get your teeth white again! Our whitening system is safe and effective treatment designed to easily and successfully whiten your teeth. Our whitening treatment can be performed by our staff in just one to two hours. It can dramatically increase the brightness of your smile without causing damage to the tooth enamel or any dental work you’ve previously received. Congratulations! You are now listed as one of the Top 3 Cosmetic dentists in Stamford, CT. We would like to Thank You for providing consistent high quality in your area of business. Our review team either approved or updated your business listing after checking customer reviews, history, complaints, ratings, satisfaction, trust, cost and general excellence. 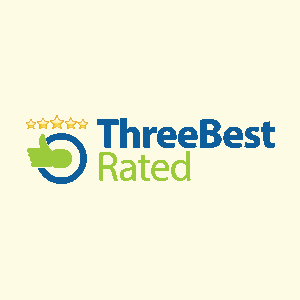 Three Best Rated® was created with a simple goal to find you the top three local businesses per category per city. Our employees Handpick Top 3 local businesses per category. We display only businesses that are verified by our employees since customers deserve only the best in life. Stamford, CT, January 20, 2016…. 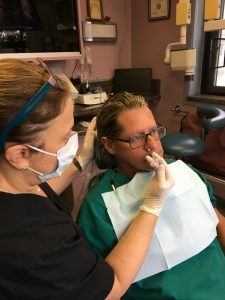 Smile Sensations, the office of Dr. Stephen H. Wolpo, DDS, will begin offering its patients a new, FDA -approved topical dental anesthetic that is administered through a nasal spray, replacing traditional needle injections for many restorative procedures. Smile Sensations, located at 60 Strawberry Hill Avenue in Stamford, was also one of the first dental offices in Fairfield County to offer “drill-free” painless laser dentistry and non-invasive velscope screening for oral cancer. Kovanaze Nasal Spray (tetracaine HCL and oxymetazoline HCL), developed by St. Renatus LLC, is the world’s first known local dental anesthetic administered through the nasal cavity, ending a century-old method of delivering dental anesthesia using a needle injection. It is indicated for use in adults age 18 and older and children who weigh approximately 90 pounds or more and for procedures involving most of the upper teeth. It received U.S. Food and Drug Administration approval on June 29, 2016.